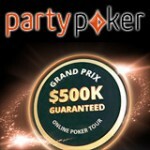 Party Poker are celebrate Spring with a million dollar guaranteed prize pool tournament on the 1st May 2011. Players can buy-in directly on the day or win their seat in the daily qualifying tournaments and online poker freerolls. 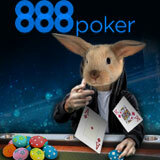 Play for your share of a million dollars in the Party Poker Spring Million Tournament. French Poker players residing in France can sign-up to PartyPoker and get €11 free poker money in the Bruno Solo poker promotion this April. 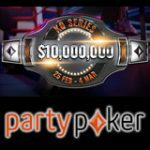 The PartyPoker Spring Million tournament is one of the biggest online poker tournaments around, start playing for your seat this April on Party Poker. 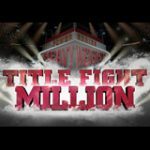 Players can qualify for their seat to the million dollar guaranteed prize pool tournament by playing the daily satellite tournaments. 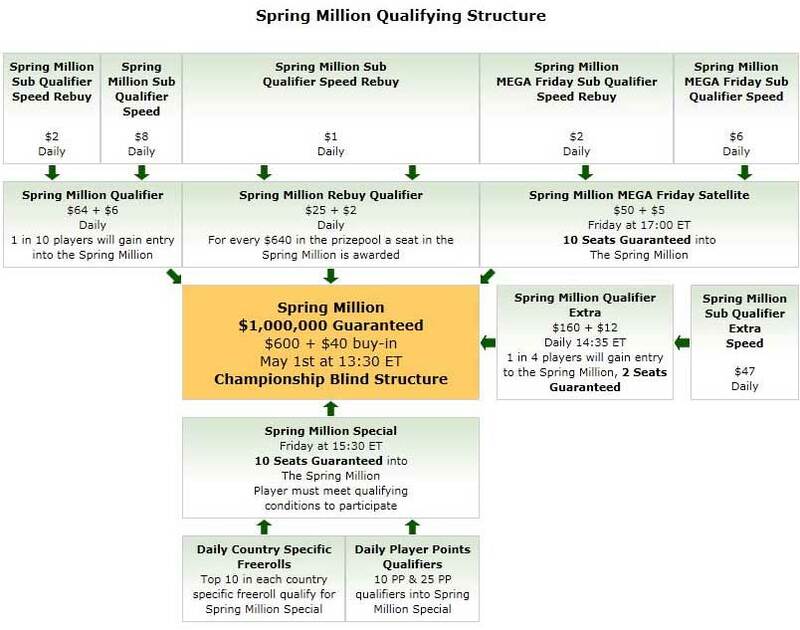 There are also daily Country Specific Party Poker freeroll tournaments where players can win 10 seats daily to the Spring Million Special, real money poker players can qualify for as little as $1. Download PartyPoker for free, double your deposit when using a PartyPoker bonus code below. 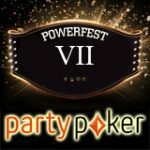 Poker players from France get €11 free at Party Poker just for signing up in the Bruno Solo poker promotion which runs from the 8-26 April 2011. 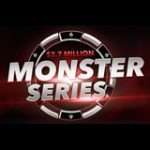 The Free Money Party Poker campaign is currently advertised on french television, players residing in France can simply register for a free PartyPoker account to qualify for their €11 free poker bankroll. PartyPoker is one of the few online poker rooms who are licensed and regulated in France offering poker players a legal online poker solution, other France legal poker rooms include fulltiltpoker.fr and pokerstars.fr. 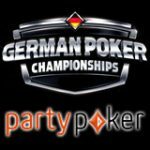 There are several real money qualifiers starting from only $1 where players can satellite their way to the Party Poker Spring Million tournament on 1 May 2011. 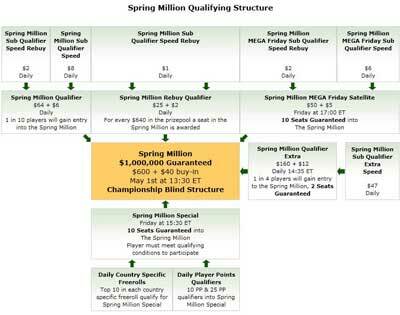 Click on the image below to view the entire qualifying structure.